ZIMBABWEANS using pirated digital decoders that are registered in South Africa are set to be switched off, the satellite television provider has said. In a statement Multichoice said it had acquired a new software system that allows it to map out the location of all decoders and block all those in use outside that country. "It is with deep regret to announce that South African accounts are being closed in Zimbabwe. The new Geolocation system which has been installed by Multichoice South Africa is detecting all decoders which are been used outside South African territory and shutting them down as it is illegal to view South African accounts outside the boarders,' the company said in the statement. According to Muiltichoice, Zambia and Botswana will also be affected by the move. "Any inconvenience caused is sincerely regretted. For the mean time we urge you to tell your clients buy new decoders and to register them with Multichoice Zimbabwe/Zambia/ Botswana Multi choice South Africa concludes its operation of getting rid of pirates recorders, "
Zimbabweans prefer the South Africa bouquet to the one offered by Multichoice Zimbabwe to avoid paying in hard currency. The rates are slightly higher in Zimbabwe than they are in South Africa given the US dollar component. 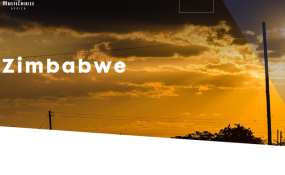 The South African bouquet also provides access to the nieghbouring country's television channels that Zimbabweans also prefer than watch the local Zimbabwe Broadcasting Corporation television (ZBCtv).